Team Europe's talisman played like a dream off the tee and with iron in his hands. Rory McIlroy brought his singles match to the 18th but his match did not reach the green and, conceding a point to Justin Thomas, he had to give up a crucial point. He fought tooth and nail at Le Golf National in an absorbing match against American superstar Thomas. With both sides seeking early points on the board, the leading lights were sent out first to duel. 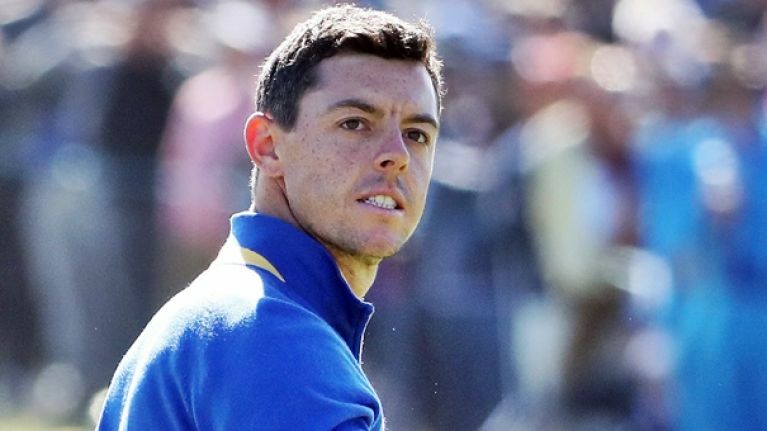 McIlroy was expected to struggle against Thomas, who won three points over the opening two days, and he lost the first hole. The Holywood native responded by winning the next three holes - carding just a single birdie, though - and halved the next couple to be 2 UP after 7. Early doors and McIlroy was holing clutch putts to get the home crowd revved up. He got some stick, from American supporters, about his putting on Saturday and even had an altercation with one boisterous Team USA fan in his foursomes match. On the front nine, McIlroy was answering the critics. On the home stretch, as the pressure ramped up, McIlroy's approach play was a beautiful as you'd ever expect to see. Every time Thomas would go close (within 20 feet, and closer), McIlroy would ping it nearer. Thomas won the 8th and 10th to go 1 UP before McIlroy brought it back to All Square. Both men were sublime with their irons but so, so many putts either slid millimetres by or lip out in dramatic fashion. The 29-yeatr-old does rank 11th on the PGA Tour for putting, this year, but he has often been accused of missing big putts when it counts (he was 82nd on tour for putting in 2017). It is something the Northern Irishman has admitted as an issue over recent years. As things stand #GoUSA will level 10-10 after match six. Will Rory McIlroy's errant putting prove decisive? On we went to the 17th and Thomas looked set to go 1 UP with a super tee shot and approach. Like McIlroy, the nerves had seen his putter run cold. He missed, but it was purely down to the pressure McIlroy put on his shoulders. Unlucky drive, overcooked iron and a magic wedge recovery. The hole was shared and it went on to 18. McIlroy went three-wood off the tee on the final hole but found the bunker. He was badly plugged and his recovery attempt ended up back in the bunker. He went 7-iron in an attempt to find the green with a miracle shot but it his the face of the bunker and found water. 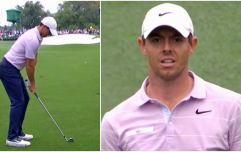 The hole was not conceded until McIlroy did not hole his fifth shot. Thomas was already near the flag in two and he was the victor.